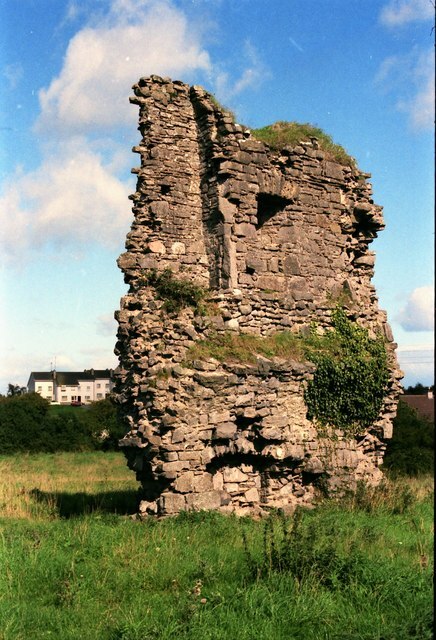 Remains of late-medieval tower house. Described in the Civil Survey 1654-56 as 'an ould Castle'. Shown in this state on a map of 1771.